Cheap Muktinath Yatra Package is an affordable trip to visit Muktinath Mandir from Kathmandu. 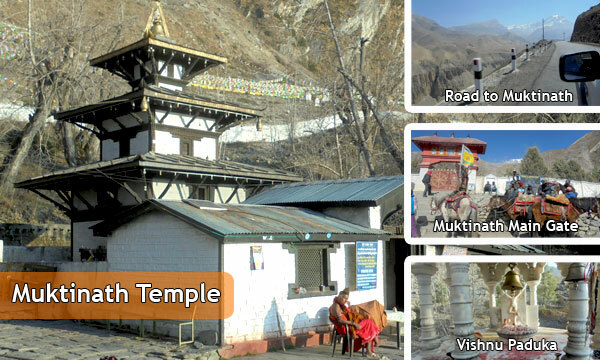 If your budget is limited and still wish to visit the Muktinath Temple then, this package will ease in your expenses. Your wishes to take a bath under 108 holy Gandaki water springs, worship Vishnu God, find Shaligrams and get salvation is going to get fulfilled with this package. Cheapest package operated to visit Muktinathdham. 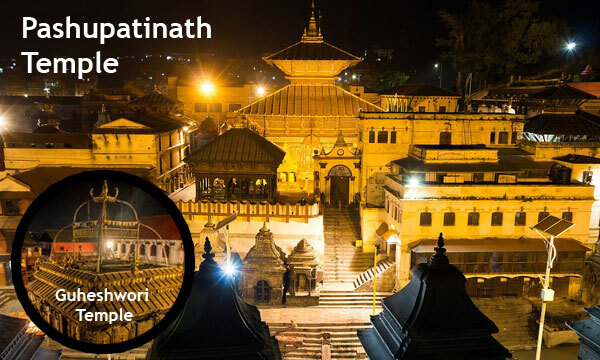 Visit Gujheswori Temple, Pashupatinath Temple & Muktinath Temple. Take a holy bath under 108 chilled Gandaki Water Springs. Unlimited time for Pooja, Darshan, and worship Vishnu God at Muktinath. Visit Mukteshwor Mahadev, Vishnu Paduka, Jwalamai Temple, and Monastries at Muktinath. Pokhara to Jomsom by 16 seated Twin Otter Plane. In this economical Muktinath tour package, you will be warmly welcome to Kathmandu by Lumle Holidays representative. He will be assisting you to transfer to the hotel and check-in. The hotel accommodation is kept near the Pashupatinath Temple so that you can visit at any time and free of cost. After short refreshment, visit Gujheswori Temple and Pashupatinath Temple by walk. Next day morning, drive to the gateway of Muktinath - Pokhara Valley by a tourist bus. Pokhara is situated 206 km to the west of Kathmandu at an altitude of 910m. By road, it takes 6 to 7 hours journey whereas just 25 mins by flight. 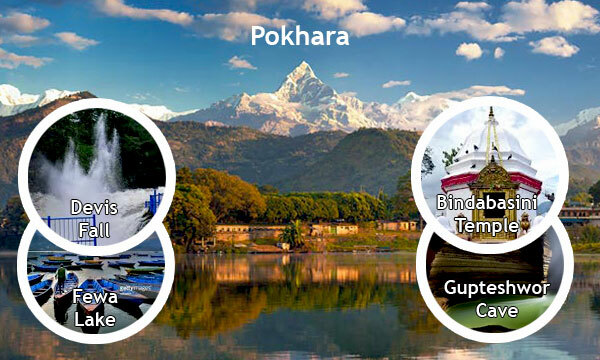 Pokhara is popular tourist hub of Nepal which is famous to see the giant snow-capped Annapurna Range Mountains, Lakes, Caves, Waterfalls, and many more. On the third day, take 15 mins adventurous flight to the splendid airport - Jomsom chasing the Gandaki River. During the flight, one can enjoy the magnificent views of Fishtail Mountain, Annapurna Mountain, Dhaulagiri Mountain, Nilgiri Mountain and many other sky touching Himalayas. Jomsom Village is located 175 km to the northwest of Pokhara Valley at an altitude of 2743m. Due to the high altitude location, we take some time for acclimatization and be comfortable for breathing. After taking some rest, walk up to the bus station and drive to Muktinath by a sharing bus or jeep. Muktinath is located 22 km far from the Jomsom at an altitude of 3710m and takes about 2 hours. The first 10 km is off-road and after reaching Kagbeni rest 12 km is blacked-topped. Vehicles are parked at Ranipauwa Bus Station. From this point, set on foot up to the Muktinath Temple. The first 15 mins walk up to the first white gate of the temple is plain. Whereas the rests 15 mins walk up to the second and the main brown gate of the temple is an ascending ladderway. Horses are also available to hire. The first attraction after crossing the gate will be a big prayer wheel on the left side. Lots of Sadhu can also be seen on the way. Then, the second attraction is the Samba Gompa Monastery. Similarly, Muktinath Hawan Kunda, Muktinatheshwor Mahadev, Vishnu Paduka, then reach the three-storied pagoda style, Muktinath Temple. Laxmi and Saraswati Kunda are located in front of the temple and 108 holy Gandaki water springs on the back side. Take a holy bath here and worship the Vishnu God. You have a whole day so, you can comfortably take your time. Later, visit Jwalamai Temple then, back to the Jomsom. Finishing the trip back to Kathmandu following the same route. You will be welcomed by our representative and transfer to hotel. Hotel is nearby the airport and close to Pashupatinath Temple. A brief introduction to the whole program. Evening visit Gujheswori Temple & Pashupatinath Temple by walk. 6:15 AM: Check Out from the hotel and drop to the Tourist Bus Station. 7:00 AM: Drive to Pokhara by a Tourist Bus, 206 km - 7 hours. You can spend your time boating on Fewa Lake near the hotel on your own. As per the flight schedule drop to airport. Fly to Jomsom, 15 mins. Arrival and transfer to the hotel (5 mins walk). After a short rest walk for 15 mins flat up to the bus station. Drive to Muktinath by sharing bus/jeep, 22 km - 2 hrs drive, 10 km off road & 12 km blacktopped. Arrival at Ranipauwa and hike for 15 mins flat and 15 mins ascending up to the temple. Horses are available there to hire up-to-the temple gate (Extra INR 300 per person one way). Perform pooja, worship and back to Jomsom following the same route. As per the flight schedule fly back to Pokhara. Arrival and proceed for a half day sightseeing. Visit Bindabasini Temple, Seti Gandaki River, Devis Fall, Gupteshwor Mahadev Cave and Barahi Temple. 7:00 AM: Transfer to the Tourist Bus Station. 7:30 AM: Drive back to Kathmandu by a Tourist Bus. Hotel Check-out time 12 noon. Drop to airport for your onward destination. Airport Check-In time is 2:30 hrs prior to your flight time. Note: All the below mentioned cost is in Indian Currency (for Indian Nationality only) and valid till February 2019. Pokhara to Jomsom by flight. Jomsom to Muktinath by Sharing Bus/Jeep. Pokhara Sightseeing by a Private Car. Kathmandu to Pokhara by a Private Car. Kathmandu to Pokhara by a Private A/c Car. Pokhara Sightseeing by a Private A/c Car. Sightseeing is escorted by an English Speaking Tour Guide. Jomsom to Muktinath by a Private Jeep. Entire Tour is escorted by an English Speaking Tour Guide. Airport Pick up and drop by a private car. Twin bed sharing hotel accommodation in as mentioned hotels. Gujheswori Temple & Pashupatinath Aarati Darshan by walk. Kathmandu to Pokhara, and back by sharing Tourist Bus. Flight Tickets from Pokhara to Jomsom and back. Jomsom to Muktinath and back on local sharing jeep/bus. Pokhara sightseeing in a private car. Annapurna Conservation Area Project entry permit. Bar bills like mineral water, beer whiskey etc. Extra expenses in case of Pokhara/Jomsom/Pokhara flight cancellation (high chances of flight cancellation due to the remote location). Use of air conditioning in the car. Client's insurance, Items of personal nature. Entrance/Monument Fees during sightseeing in Pokhara & Kathmandu. Expenses incurred due to Medical evacuation, mishaps, landslide, strikes, political unrest etc. Rest of all not mentioned in cost include.